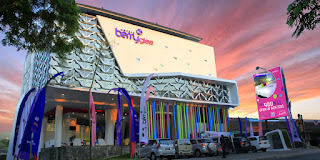 Built for the young and young at heart, Berry Glee Hotel is what you need to get all the excitement during your holiday in Bali. Strategically located at Jl. 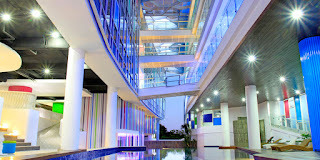 Raya Kuta, Berry Glee Hotel with take you to a brand new experience supported by the cool interior and lively facilities for anything you want and need. Pick one of the fun themed room and rest easy like a star. Without having to leave the hotel area, enjoy Berry Glee’s extensive multimedia entertainment room. The fun chasers can either choose to play with both conventional and digital games available or lay around by the sunbed of Glee’s two terraced swimming pool. Do you want to relax while your kids still enjoy playing with the various activities available? Let your kids play under the supervision of Berry Glee’s competent team on the indoor and semi outdoor kids’ corner next to the kids’ pool and sand area. The fun and vibrant ambiance of the hotel will bring you to a new and cool way to spend your holiday.